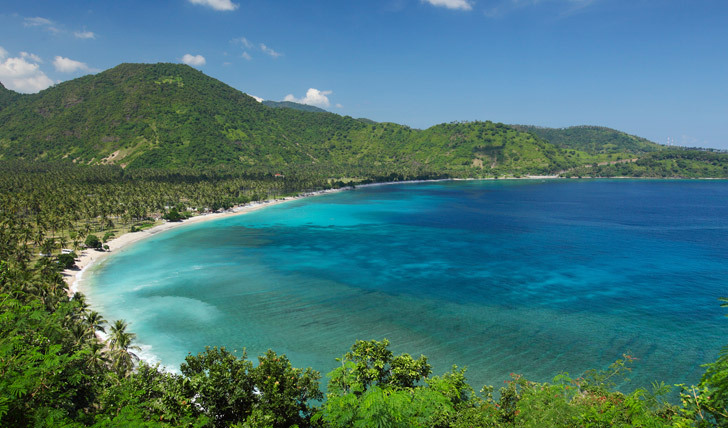 Languishing idly between Bali and Lombok are the tiny gems known as the Gili Islands. With no cars, little in the way of timekeeping and a feel of how the Thai islands were thirty years ago, the Gilis are the quintessential boho-beach destination. Explore the tiny islands either by horse and cart or under your own steam on a bicycle, taking in laid-back sights and sounds at your own pace. Stop off for a spot of lunch at one of the beachfront restaurants before jumping on a ferry and heading to one of the other Gilis in search of a deserted beach. Be sure not to miss out on the amazing diving right off the beach; the diversity of marine life is stunning and hard to match anywhere in the world so close to shore. 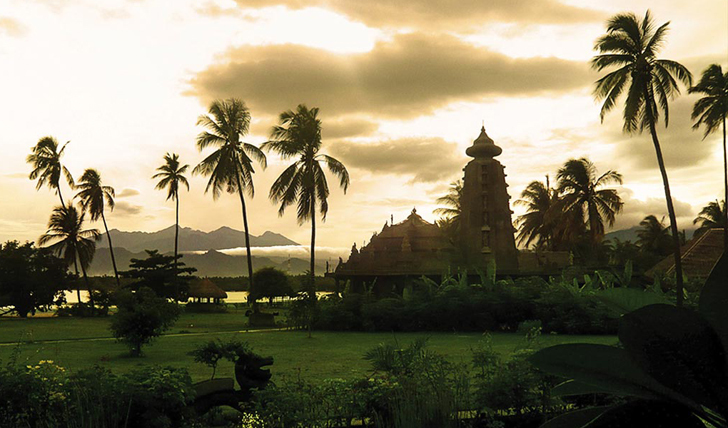 Next up it off to the north-west corner of Lombok to Hotel Tugu, a small hotel we have fallen in love with. It could be that we will organise a special private dinner for you inside a temple or maybe it’s the lush plantation and untouched beaches that plays home to Tugu, but we are sure you will love Tugu too. A few days relaxing on the beach, diving in the warm sea and catching a few rays is the perfect preparation for what’s next. In the distance, you will see the conical Mt Rinjani volcano, standing guard over the island of Lombok. It is Indonesia’s second highest volcano and comes in at a little over 12,000 feet – In 48 hours time, you will be at the top..
Embarking on the most challenging, but definitely the most rewarding part of your trip. Rinjani is one of the highest volcanoes in the eastern hemisphere and with your expedition leader ensuring that you have everything you need from tents to midnight snacks, you are free to take in all of the alluring scenery on route tot he top. Your trek takes you across open grasslands, through cool pine forests where you might just be lucky enough to spot wild pigs or long tail grey monkeys and finally up the slopes of the volcano itself. Summit day will provide you with memories that last a lifetime; swimming in the hot springs of the azure crater lake, exploring the deep caves and marvelling at the spectacular views across the Wallace line to neighbouring Bali and Sumbawa. Now, how’s that for a dinner party story?